Right now, two of the most popular hosting solutions are shared hosting and VPS hosting, but there are a few shortcomings to both of these solutions, which make elastic hosting another, greater option. Let’s look into the current trends of web hosting and a variety of different use cases that are extremely relevant today. Almost every hosting provider out there offers shared hosting as well as virtual private servers. We’ll take a close look at both shared hosting and VPS and try to understand what separates the two. Shared hosting is the most basic form of web hosting in which a number of sites are hosted on a single server. This form of hosting attracts a lot of customers due to obvious reasons like the cost of hosting and maintenance which is spread across all the different webmasters. Shared hosting is a great option to start off with. But as they say in the Spiderman movie, “With great power comes great responsibility”. As the site gains popularity and traffic increases, you would require more resources and a bit more control over it. It is not just about having more resources, but having your own resources. Shared hosting cannot provide you this. The major disadvantage with shared hosting is that it lacks the ability to provide users with resources according to their demand. A lot of hosting companies cramp up the server with a lot of websites creating downtimes, which in turn doesn’t go down well with the users. This prompts them to move to a better solution. Virtual Private Servers were the most obvious choice for everyone. To understand VPS, you should understand about virtualisation. Using virtualisation technology, the server creates a unique instance for each user allowing them to install a different operating system of their choice. The best examples of virtualisation are VMware and VirtualBox that you can use to install different operating systems in a virtual environment inside your own PC.Similar to that, there will be multiple users running different operating systems on a VPS. There will be a fixed amount of resources (CPU, RAM, disk, etc.) allocated to each of the virtual servers. There are two kinds of VPS, unmanaged and managed. In the case of unmanaged VPS, the user will have to learn how to manage their own environment, buy licenses for softwares as well as the administration panel, secure the server, etc. In shared hosting, all this is taken care of by the system administrator hired by the hosting company. At the end of the day, users opting for unmanaged VPS will have additional burden apart from just hosting their website. The other option is to go for managed VPS, in which there will be a system administrator assigned to taking care of all the administrative work. On the downside, this solution is expensive both to the user and the provider. To decide whether elastic hosting is the perfect option for you, you simply need to ask yourself the following questions. Do you want root level access and other administrative privileges? Do you want to take care of the security of the server, licenses, backup, etc? Do you want to stick with shared hosting, but the resources aren’t enough? 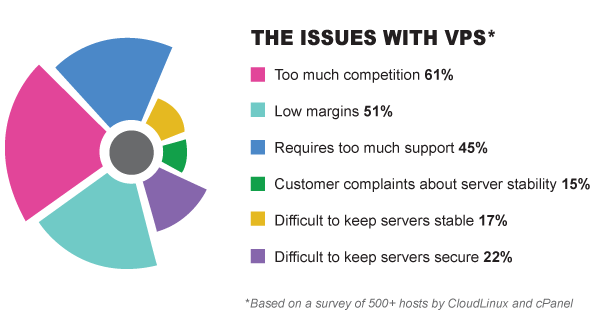 According to our analysis, a large number of customers switch to self managed VPS in order to get more resources. But as we found out, a lot of those customers are frustrated of trying to successfully manage their own server environment, which was non-existent in shared hosting. 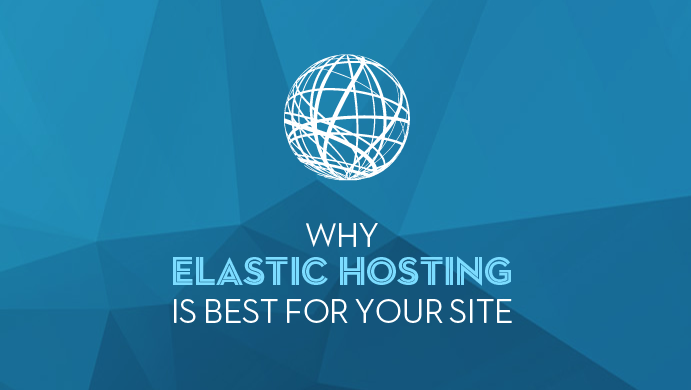 So, for users who want to have all the benefits of shared hosting, but a little more flexibility when it comes to resources, elastic hosting is the right answer. As we have mentioned above, VPS involves a lot of burden on the end user and this might not be what they are looking for. At the end of the day, they might just need more resources. So, without having to manage a panel license, server security, backups, etc., they can move on to elastic hosting. With this type of hosting, they can get the resources they require but don’t have to worry about anything else apart from hosting their website. “Growing” is a term that is closely associated with elastic hosting. You can start off with a basic plan that involves a modest amount of resources, say 2 cores and 4 gigas of RAM. You launch your website with this plan and within no time, your website gets popular. The traffic statistics go out of the roof. What will you do? Will you move to a managed VPS solution? No, you simply expand your plan to incorporate more resources while keeping all the content on your website intact. The downtime ranges from a few seconds to a few minutes, but that’s pretty much it. Everything else will remain exactly the same as before. That is the beauty of elastic hosting. It puts power in the hands of the user and allows them to make a decision. If you want more resources, you can go for a plan that is higher up the ladder. Moving to a VPS hosting scheme from shared hosting can be cumbersome for the user as they will now need to learn a lot of new things. For power users, this might not be a problem, but the majority of the people moving away from shared hosting, they have no clue about managing a server or buying software licenses. With elastic hosting, you no longer need to worry about all this because you can continue working in the same environment as before, but with access to more resources and the ability to grow. Elastic hosting is not intended to be a premium offering. Shared hosting is the most affordable option, with popular plans starting from $8.99 for 12 months. Unmanaged VPS is slightly more expensive, whereas managed VPS can cost hundreds of dollars. 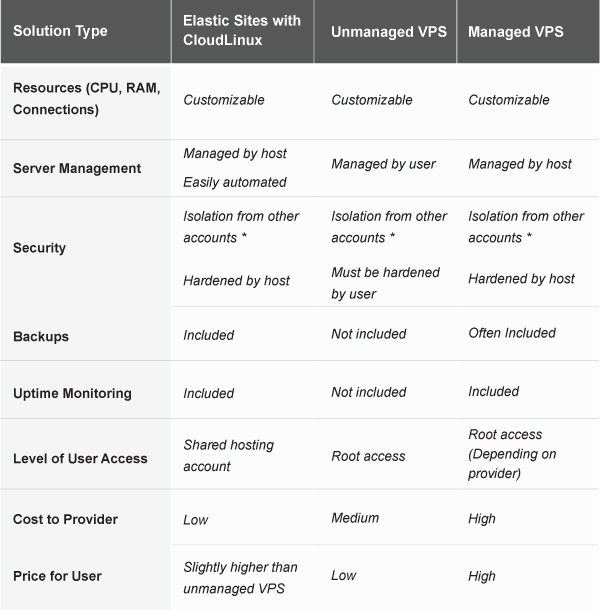 Elastic hosting combines the best of both worlds: the price for elastic hosting plan may be higher than that of unmanaged VPS, but it is definitely lower than managed VPS, not lacking, however, on management by the hosting provider. Is Elastic Hosting the Future of Web Hosting? This is a quite complicated question and to answer it we might need a bit more time. Elastic hosting is a concept that has sprung up recently, but it has gained some serious momentum. With shared hosting coming to a standstill and users moving away from VPS due to management issues, elastic hosting is definitely on the path to make exponential leaps. That’s pretty much everything you need to know before getting into elastic hosting. As a webmaster, just make sure to ask yourself these questions: Do you need root access and other privileges? Do you want to manage the security and perform administrative tasks? If your answer to these two questions is no, ask yourself one last question. Do you love shared hosting but the resources aren’t enough? If you answered yes, elastic hosting is the best option for you. If you have any more questions regarding how a site is hosted using elastic hosting or just anything in general about this new kind of hosting, feel free to post them in the comments section below. ← Top.Host Support: Two more awards in Customer Service!